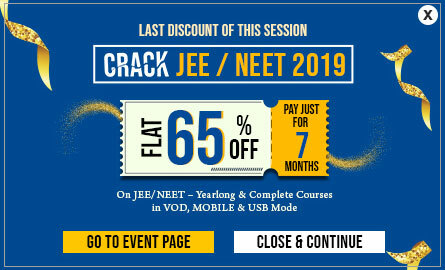 India’s top online coaching for NEET examination, Etoos offers an array of NEET video courses for effective and uninterrupted exam preparation. To cater to the needs of a variety of medical aspirants, the brilliant faculty has prepared an exhaustive range of courses which will help students crack the esteemed exam effortlessly. If you are willing to download free medical video lectures, EtoosIndia is just the right place for you! Score high marks in the paper with the guidance of experienced faculties of Kota. All the online courses are focused and aligned with the NEET exam syllabus prescribed by NTA. The topics and concepts are simplified to bring to students an easy and organized methodology towards subjects Physics, Chemistry, and Biology. Register now and Obtain free online medical lectures now and get a world-class learning experience!